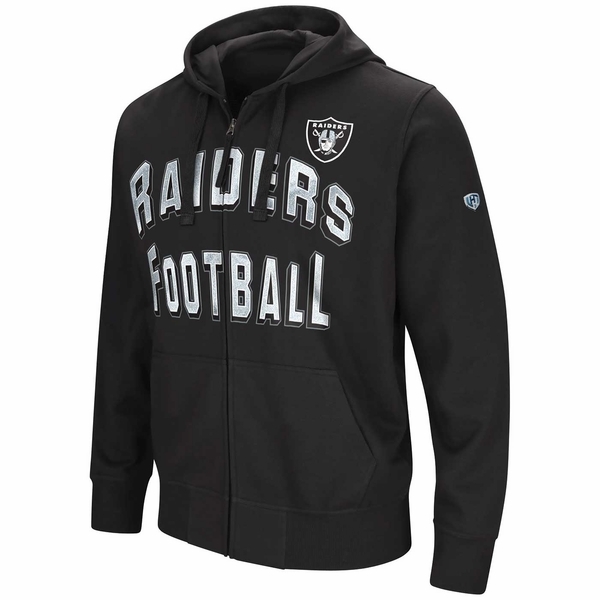 The Raiders Full Zip Gridiron Fleece by GIII undoubtedly reps your team with silver letters screen printed across the chest, plus a Raiders� shield logo. This fleece features kangaroo pockets and a drawstring hood. 60% cotton, 40% polyester.